I could never understand the stereotypes about my nationality as they all seemed completely untrue. According to the world, we Brits are ridiculously polite, a bit awkward and have bad teeth. As far as I was concerned, these were stupid assumptions as I knew plenty of rude Brits, confident English-men and at least two of my friends have nice teeth… However, having lived in Vietnam for the past 6 months now, I’m starting to realise that maybe I do fit the stereotype a little bit. 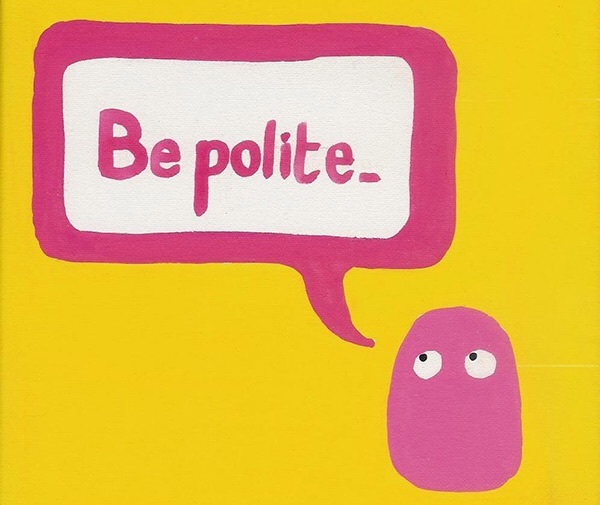 My idea of being polite is apologising for everything (even if I didn’t do anything wrong), saying hello to people (even if I just saw them 5 minutes ago) and smiling sweetly when someone has really irritated me (any other Brit would recognise this as a false and damning smile). Vietnamese peoples’ idea of being polite is coughing up mucus after you’ve driven by, rather than on your bike as you pass. By which I mean, I use my hands and face a lot to show how I’m feeling or what I mean. I would much rather raise my eyebrow than say ‘woah, that’s too expensive’, I love pulling strange faces when I’m explaining what another person said to me and I do actions to explain what I mean, even when I know the word in Vietnamese. However, most of the Vietnamese people I’ve met tend to have three faces; neutral, unimpressed and extremely excited. In my experience, 70% of the time they use the ‘neutral face’ and 25% of the time they are doing their ‘unimpressed’ face because I’m doing some elaborate sign language to order a coffee. 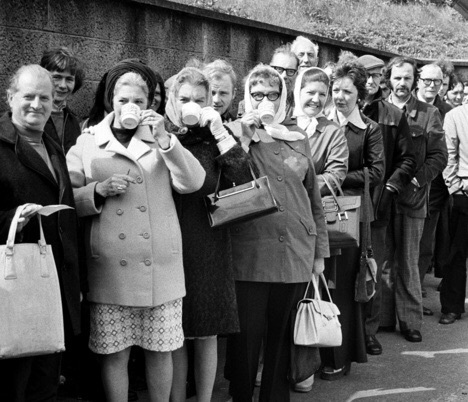 We Brits have the utmost respect for the queue, it is the epitome of order and anyone who disprespects the rule of the queue can be expected to by shunned and uninvited to family gatherings. I don’t mean I’m a liar, I just mean I say a lot of things just for the sake of saying things. I just can’t stand the idea of making another person uncomfortable. This means that I spend a lot of the time avoiding saying that I disagree/don’t understand/don’t care, and just nodding and smiling instead. On the other hand, you can guarantee that if you say something to a Vietnamese person that they disagree with/don’t understand/are not interested in, you’ll know about it! Someone just looked at me for over 5 seconds without blinking = offended. Someone just asked me if I put on weight = offended. Someone laughed when I said a Vietnamese word = offended. Someone didn’t laugh when I told a mildly funny joke = offended. Someone just crashed into my bike, knocking me and my whole family to the ground, and then drove off without saying ‘sorry’ = not offended. No explanation needed. Fortunately, this is a big Vietnamese thing too! Now, what makes this about ‘my culture’ and not ‘just me’, you ask. At first, I did just think it was me but then when I started reciting my experiences in Vietnam, I realised it’s really not. I can guarantee, if I tell a British person the story about someone scamming me on my own doorstep with a fake bill, they will be absolutely outraged. However, if I tell a Vietnamese person the same story, they will tell me that it was very stupid to trust someone at face value and it’s my own fault. I suppose it’s time to accept that I am just a stereotypical Brit with awkward humour and bad teeth! It’s nice to read! I think most European have the same characteristics. Probably, it’s the culture thing! But to compare, I suppose there are plenty of things to talk about between the Vietnamese and European. The funny thing about Vietnamese people is being honest. They are direct telling you something without considering being rude. I was once called TOO FAT TO BE VIETNAMESE when I was in Vietnam. Quite painful but yeah…. Hahaha, that is such a Vietnamese thing to say! Oh dear, oh dear. You must! It’s definitely something else :P haha. Thank you!! Oh, they are damned true, LOL, I love this post. That’s true, all those questions are definitely showing an interest, it always surprises me though haha. Yeah, that’s how we show our interest 😂 Is there any other question you find surprising? I haven’t had that many other surprising questions to be honest. I do find the compliments interesting though. For example, a Vietnamese person might say ‘you’re so beautiful’ to me when my friend is there and not say anything to her (or vice versa). Off course, this is lovely, however, it probably wouldn’t happen in my culture because we’d be worried we were offending the other person by not calling them beautiful :P I know that’s silly and I’m glad the Vietnamese don’t do that, but it always surprises me anyway! Pardon me if I’m wrong, but you sound quite annoyed, or perhaps a bit sarcastic in this post. I have followed your blog for a long time because it is so interesting. I am sorry if you have at the very least felt uncomfortable among my culture, and I can imagine the Vietnamese people saying the things you described. I just want to let you know that the Vietnamese society is divided into classes and types just as any other culture. I suppose I’m a little bit annoyed at myself rather than Vietnamese people. I feel like I can see quite clearly how to fit into Vietnamese culture (in some ways) but find it very hard to shake a lot of my British upbringing. Not that I need to get rid of my own culture completely, but I know I need to be more flexible, which is proving easier said than done!